What exactly is the growth dare? In January 2018, I set out with a new mission: to change lives through TerraMedia’s creative services, products and support. Then I gave myself the growth dare. My goal, the growth dare, is to help you change more lives by growing your business. Every business changes lives, whether you are keeping customers cars running smoothly or doing medical research, it can all be life-changing for your customers. So rather than just building you a new website and working with you on your marketing, I want to help you to grow your business by making your website and digital marketing down to earth and easy to understand. I want you to be able to do your digital marketing so well that you don’t need me. Then, no matter what your business is, you are empowered to grow. Who knows what difference that could make in the world of your customers. So, will you take the growth dare with me? What should you expect from TerraMedia? A passion to help you grow and change the world. World-class creative services, products and tools. Simple explanations you can actually understand. Constantly updated information so you stay on the cutting edge. Tools you can implement in your business straight away. take on the growth dare and change the world. 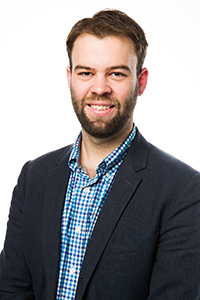 Matthew has a background in digital and traditional marketing and holds three degrees including a Masters of Management (Project Management and Information Technology), Bachelor of Communication Design, and a Bachelor of Information Technology. His experience spans across website design, social media, cloud technologies, marketing automation and customer engagement. Find out more on his LinkedIn profile.